Many evangelism events, and sadly event churches, promote the wrong kind of grief. The focus is on material things of this world, known as “worldly grief”. It is focused on human sorrow and remorse without purpose and produces death. However, the Apostle Paul tells of another kind of sorrow, “godly grief”. And this “godly grief” produces repentance that leads salvation. 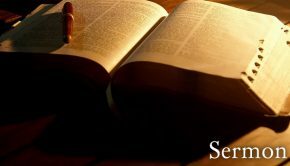 This sermon takes a looks at the contrast and comparison between the two preached from 2 Corinthians 7:10-11.